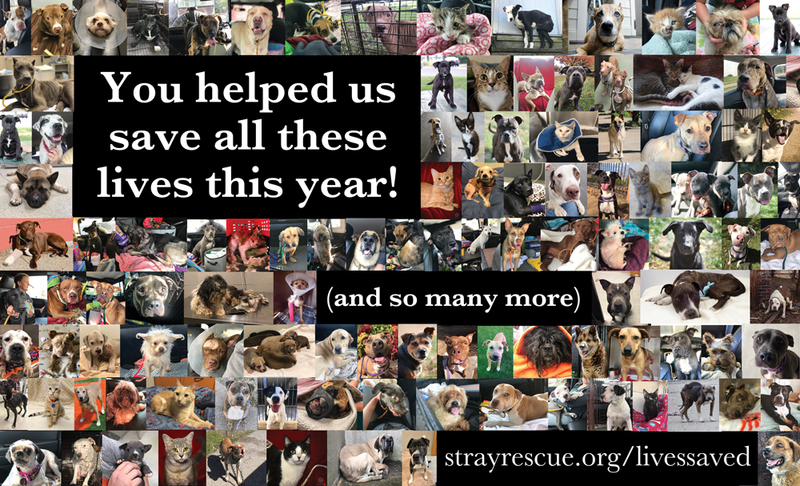 Stray Rescue of St. Louis - You helped us save all these lives this year! Rescue Stories You helped us save all these lives this year! As “The Year of the Dog” draws to a close, we reflect on an incredible year. We are so honored to have each one of you to support our ongoing lifesaving efforts. This has been an amazing year with so many lives saved and miraculous recoveries. But, one thing I have learned this year is that our hearts are bigger than our budget. Everyday we perform medical procedures that other shelters wouldn’t even attempt. We put all of our hearts and resources into saving the lives of the unwanted, forgotten and abused. We do it because we’re steadfast in our guiding principle that these special animals don’t deserve to die without knowing love, a home, family and respect. So we do everything necessary to give them that because they deserve our every effort. 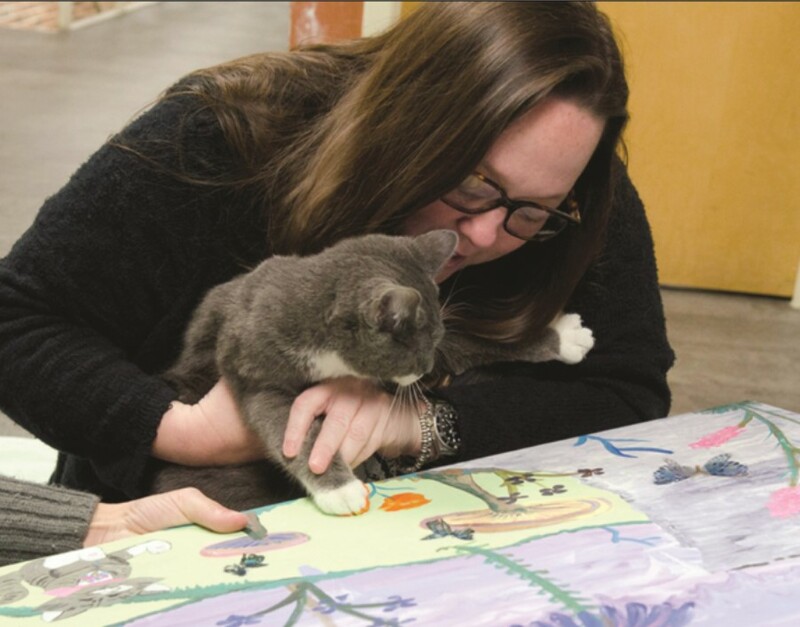 2019 will bring thousands more dogs and cats to our doorstep, needing medical care, nourishment, and shelter. We ask that you help to ensure we have the medical funding necessary to continue doing what we do best. We are excited to announce that every cent raised from now until midnight on New Year’s Eve will be MATCHED, and will go to the Stracks Fund to cover the much needed medical care that is the foundation for every animal at Stray Rescue. The Stracks Fund allows us to fulfill our mission and our promise to the victimized animals of our city. Thank you for sticking by our side through 2018 as we celebrated the wins together and honored the losses. Not only is this the Year of the Dog, it’s the year of YOU. We couldn’t do what we do without you fighting alongside us - our compassionate Army of Animal Warriors. For the next few days, we’ll share some of the most memorable stories from 2018, and ask that you please give so we can help more in 2019. Let’s give hope to those still out there who need us. Together we can create more miracles and save more lives of these precious animals we all love so much. Every dollar is matched, so please share our message and make those year-end tax-deductible gifts. Thank you and God Bless you! Make your gift right here. If you would like to help strays all 12 months of the year, visit Strayrescue.org/membership. For a PayPal option, scroll to the bottom of this page.